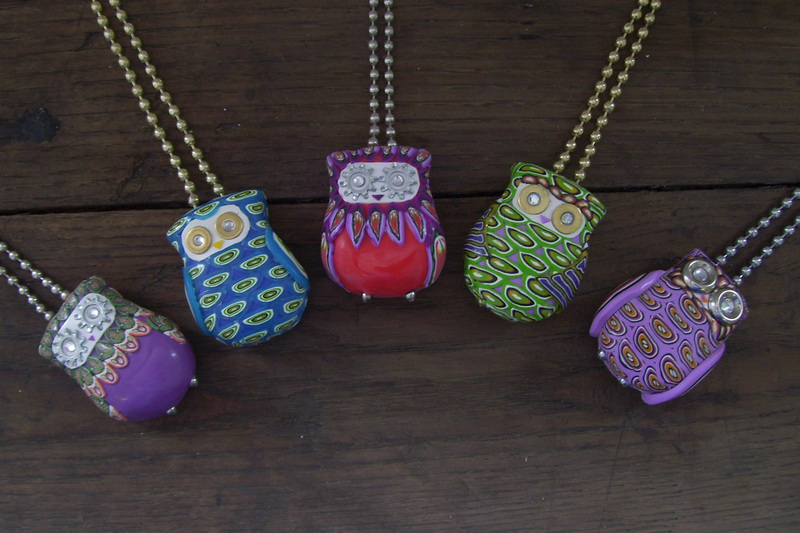 Lisa Mackin’s polymer owls are wisely constructed and seriously cute. The ball chain travels through the owl bodies and forms their feet. It looks like the chain is baked right into the clay. Another very cute owl hangs on her home page and she’s got more clever constructions (see the fish and belt buckles) in her gallery. Happy Labor Day! Thank you so much for featuring my owls! What a great compliment to find my work on Polymer Clay Daily. what adorable creatures…and so cleverly thought out (the little feets) and designed. I love it when you can make something that is adorable yet not ‘cutesy’. These little owls are sweet AND beautifully designed.